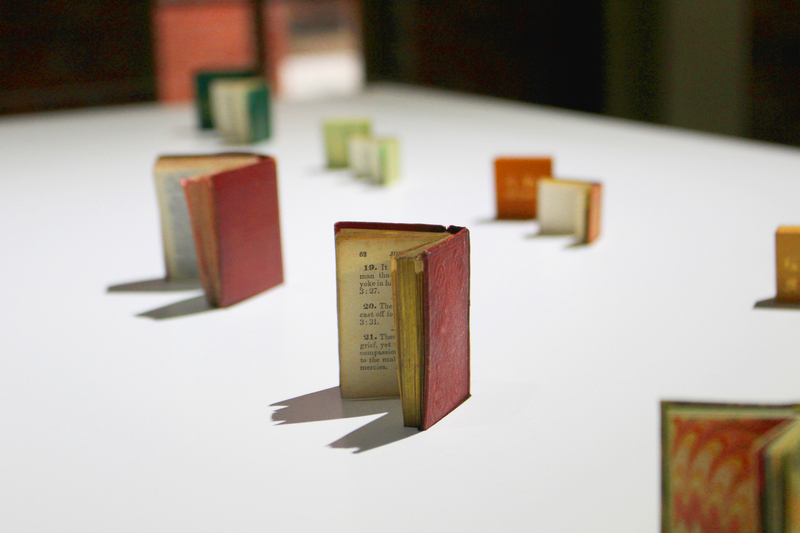 Perhaps what makes human beings sigh over miniature books is the way they let us perceive, whig the naked eye, the limitations of paper fibbers and printing. 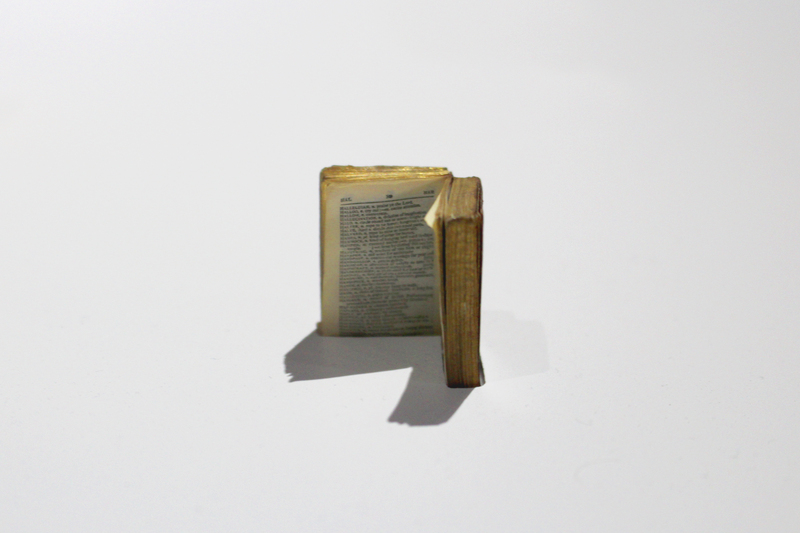 If we are to condense and accumulate data, we have to talk about the current situation and future of computer storage elements, but even if you can understand this kind of discussion, you get too far into the abstract, and elicit no sighs. 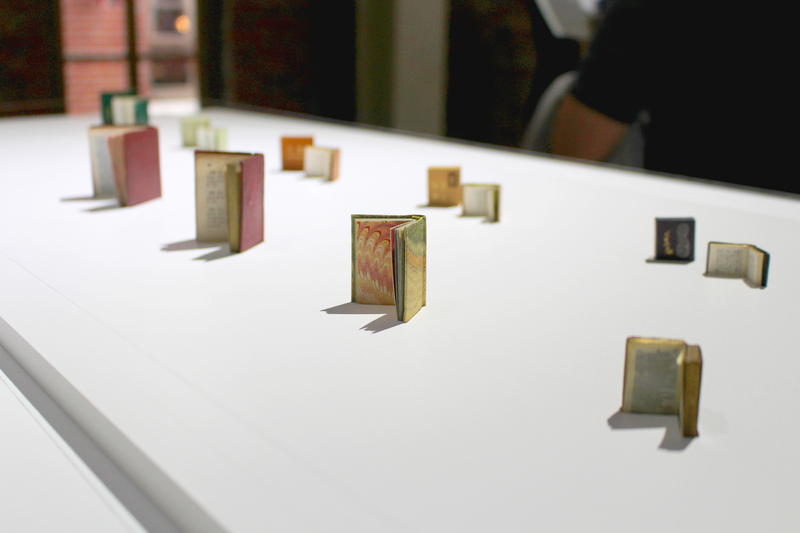 Tiny books attract our attention because they appeal to the limits of our cognition and our bodies. 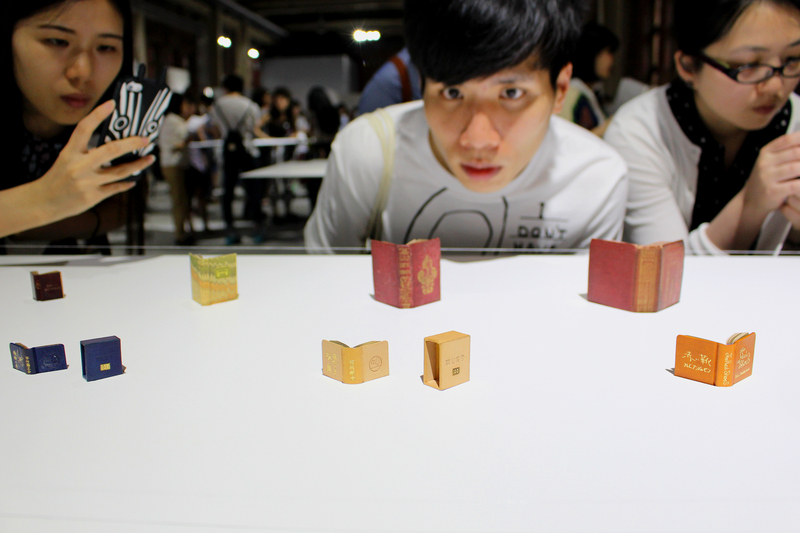 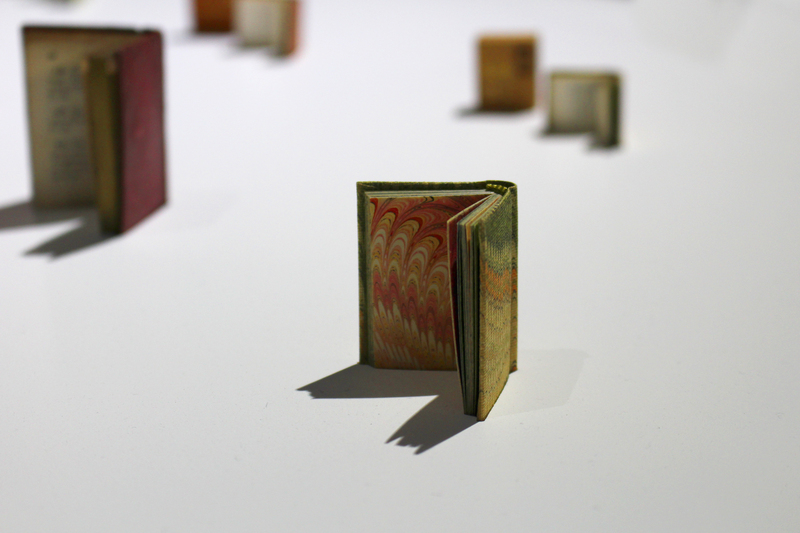 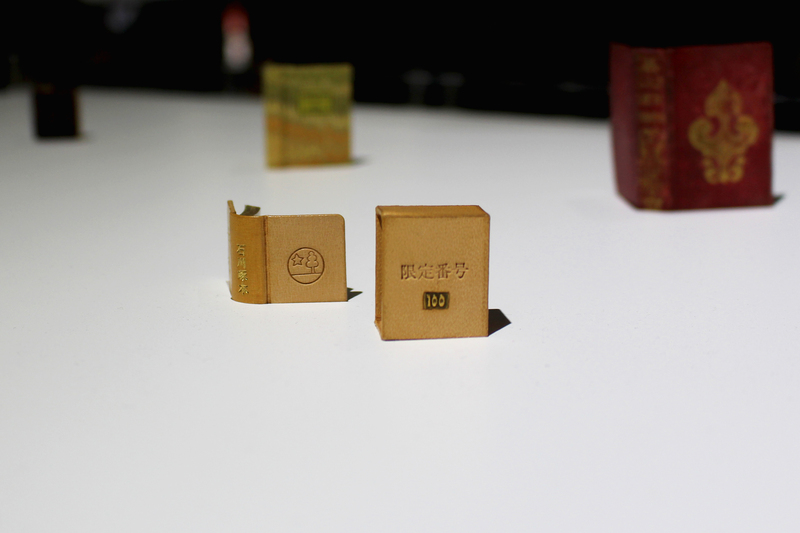 On display are miniature books by Japanese literary giants and European tiny books. 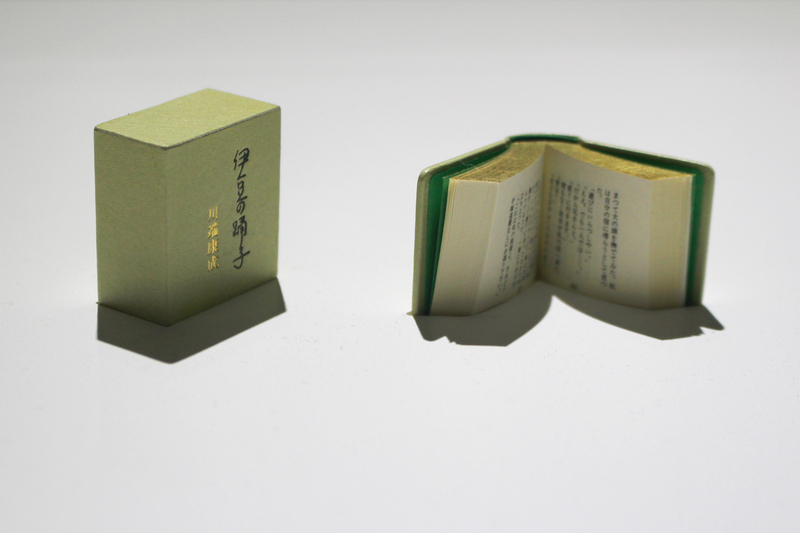 The Japanese books are those that have been made as curiosities, collectors’ items. 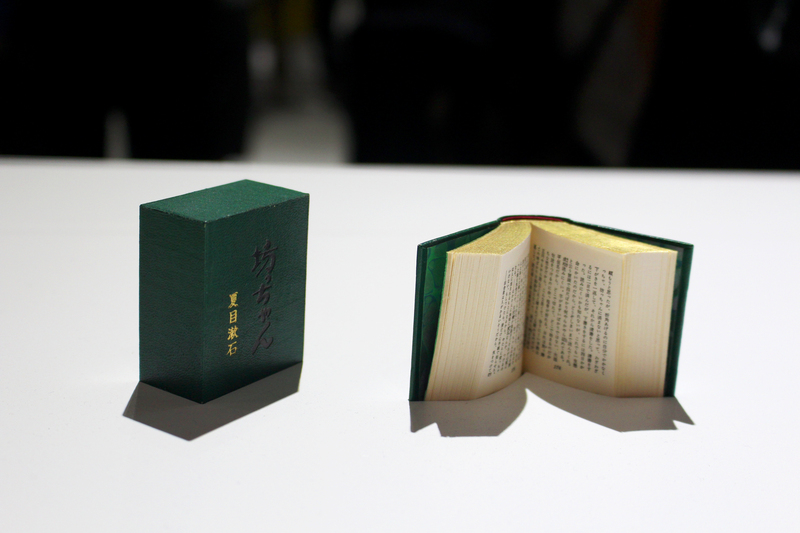 Yasunari Kawabata’s Izu no Odoriko (The Dancing Girl of Izu), Takuboku Ishikawa’s Kanashiki Gangu (Sad Toys), Ryunosuke Akutagawa’s Kumo no Ito (The Spider’s Thread), all of which are too small, making it difficult to turn the pages with a finger. 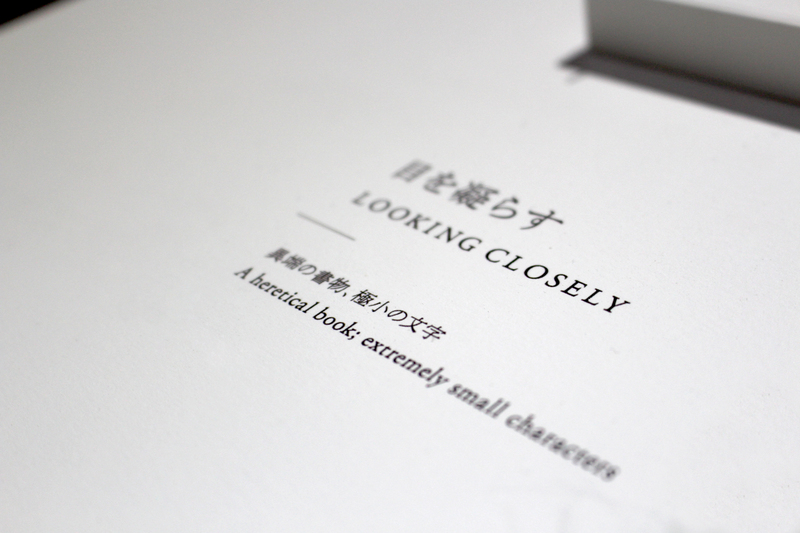 The characters must be read with the help of a magnifying glass. 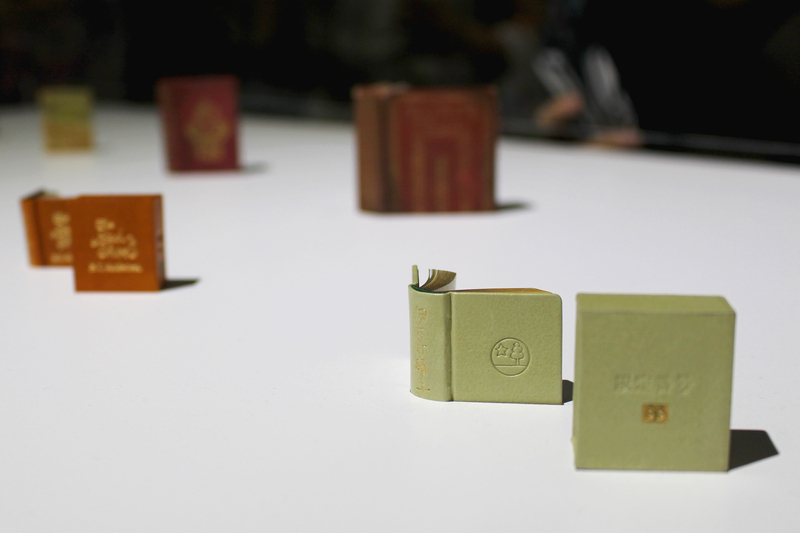 The European miniature books seem to have been put to practical use, Tennyson’s poetry anthology and the book of daily words showing traces of having been carried and used as a mobile device.